When Julie and Alec McKinney heard these words about their infant son, Tyler, it marked the beginning of a journey to identify the root cause of the abnormalities he was born with and also provide him with the best life possible to meet his special needs. Even though there were challenges along the way, they did not face them alone: a team of providers at Boston Medical Center were with them every step. Upon first evaluation, Siegel made two key observations: Tyler appeared to have a genetic condition, and he was not developing at a healthy rate. “We determined this was pretty serious,” he recalls. Siegel assembled two teams of clinicians to tackle both issues simultaneously, including Genetics and Neurology. Although this seemed like a novel approach, coordinating integrated care to facilitate a child’s health and well-being has been central to Siegel’s work for more than 40 years, ever since becoming the first pediatrician to practice hospital-based primary care at BMC. “Boston Medical Center is the birthplace of hospital-based primary care. Coordinating an interdisciplinary team is the essence of what we do,” he explains. While Tyler’s treatment plan gained traction, geneticists were scouring databases and testing for a matching genetic condition. 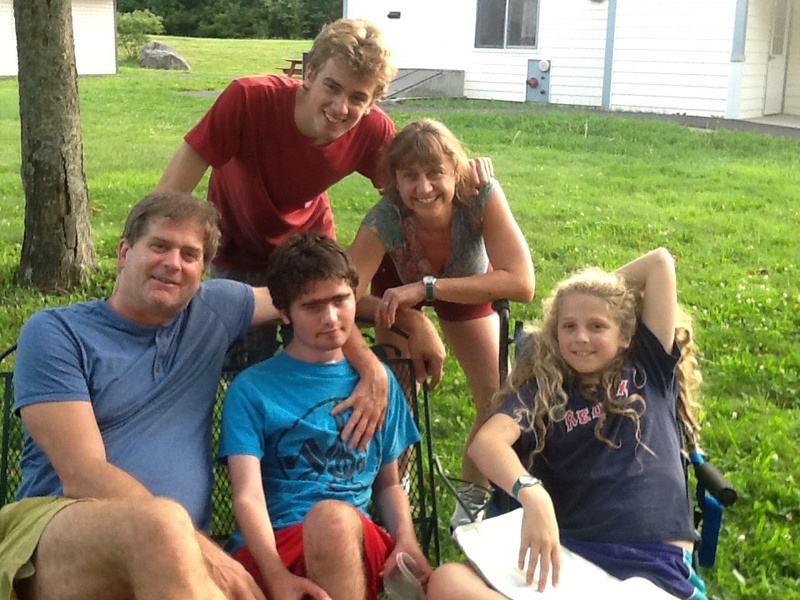 Two years later, they narrowed in on a rare genetic disorder carried by the mother known as Conradi-Hünermann-Happle Syndrome (CDPX2). CDPX2 (the defective gene) is deemed lethal in males, with the exception of only a few survivors ever reported, so it was highly unlikely Tyler had it. Despite the odds, they tested anyway. When they received the results, they were astonished: it was positive. The diagnosis was significant for the McKinneys, but not in the way they initially expected it to be. “It was a relief to finally know the cause,” explains Alec. “But Tyler was already so well-cared for that the diagnosis didn’t impact his treatment.” However, Julie was pregnant with their third child and they wanted to find out if their unborn child inherited CDPX2. Because they had isolated the gene, the geneticists were able to create a prenatal test, which revealed the baby was healthy. The McKinneys welcomed their third son, Riley, who joined brothers Casey and Tyler—all of whom are seen by Siegel. Our Comprehensive Care Program (CCP) is one of only a handful of programs in the nation dedicated to caring for the most fragile, medically complex children.